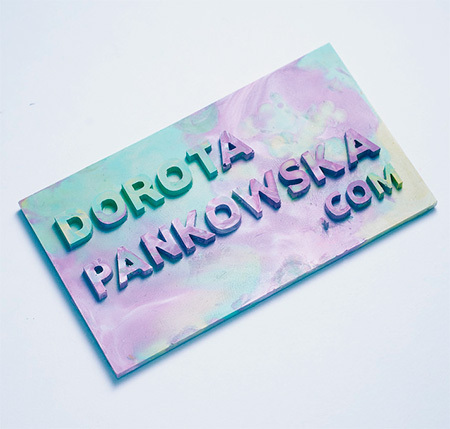 Unique and creative business cards made out of melted crayons by talented Toronto based artist Dorota Pankowska. Business card laser cut from acrylic was used to make rubber silicone mold. Then, the mold was filled with melted crayons of different colors. For more business card designs, visit: Clever Business Cards. But as a “business Card” it is a fail. I would not want to put that in my pocket or wallet as I am afraid it would end up in pieces. I have several stacks of business cards for future reference and it would not go my stack as it says nothing about owner other than they are good with crayons. Impressive- when can I buy one? As you keep it in your wallet or pocket, your money and things will turn to green, blue, and red.